First, this is assuming the reader is in America and is familiar with our laws against discrimination of religions and the rights of free speech. We value freedom of religion because our founding fathers and those before them (the Pilgrims) came to America to escape religious persecution. That being said, let’s look at recent events and the religion of Mohammed and how Muslims in America and abroad are taught to assimilate. 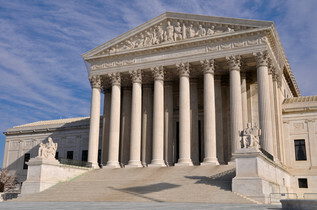 our Supreme Court. However, we have tens of Denominations of Christianity such as Catholic, Methodist, Baptist, Church of Latter Day Saints, Jehovah’s Witnesses, Lutheran, Protestants, Southern Baptist and a host of others. We have become so familiar with the majority religion and the MANY different translations and interpretations of the Christian Bible that we tend to approach all other religions the same way. Americans feel that all religions are “open to interpretation” and so therefore if we meet someone from a religion that we disagree with, we somehow feel that they are not representative of their religion and that they must be interpreting it different than others would. That is extremely arrogant for Americans and the Western World to view other religions in the light of “our” culture and not theirs. In fact, if confronted with verses from their holy book, these religious people (Christians and Muslims) would be hard pressed to realize it was even from their book, let alone know what their religion teaches about it. 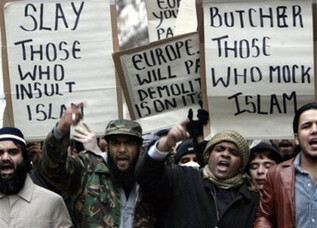 I call these Muslims “Westernized”. Unfortunately, that term really applies to lots of religions in America and we have a lot of unprincipled people walking around pretending to be something they don’t understand. The other type of Muslim is a true worshipper of Allah and follower of Mohammed. I have met both, and the average American would not be able to tell the difference. Both treat people with respect (generally) and both speak English and are many times our next door neighbors or co-workers and fit right in to American society. 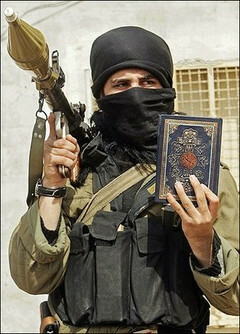 Now let’s look at the book that Muslims say they believe, the Quran. When it comes to Islam, the Quran itself tells you how to interpret it. 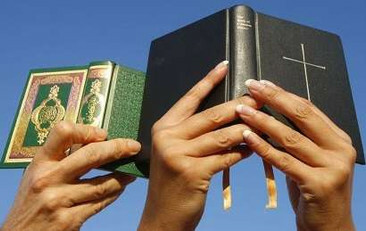 You must understand that the Quran is broken up into 114 Surahs or chapters if you equate it to the Christian Bible. The Surahs were “revealed” or written over a period of 23 years of Mohammed’s life and are generally in order of length NOT chronology. Now let us look at two terms in the Quran. These are the two main things you must understand when studying Islam or speaking with a Muslim. If you don’t understand these two core Muslim doctrines then you are foolish to even begin to attempt a conversation about Islam. The two words are Taqiyya and abrogation. Let’s look at abrogation first as this word tells you how to read and understand the Quran. 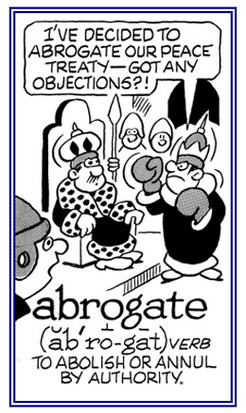 Abrogation means to annul or cancel something with appropriate or legal authority. A couple of key verses in the Quran that explain abrogation. The last words of Mohammed are found in the Quran Sura 9. This was the last Sura written approximately 631 A.D., before his death. 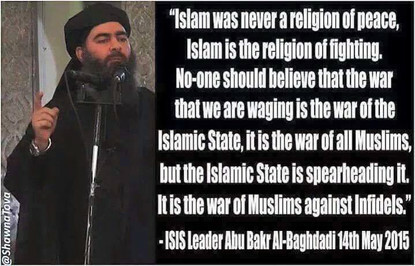 By this principle of abrogation, we know that Islam is NOT a religion of peace. 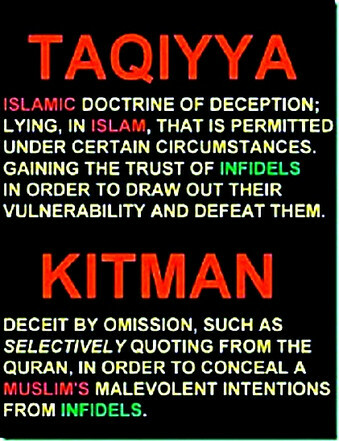 Taqiyya can be translated into one simple word “dissimulation” or deceit, however there are much more far reaching implications to this doctrine from the Quran and Hadiths (writings of doctrine and law from Mohammed other than the Quran). Ibn Abbas is quoted as saying “al-Taqiyya is the uttering of the tongue, while the heart is comfortable with faith.” Note: The meaning is that the tongue is permitted to utter anything in a time of need, as long as the heart is not affected; and one is still comfortable with faith. If a Muslim feels forced to hide his faith or lie about it, it is okay as long as he still believes in his heart. A believer is NEVER allowed to take an unbeliever as a friend unless they fear them. 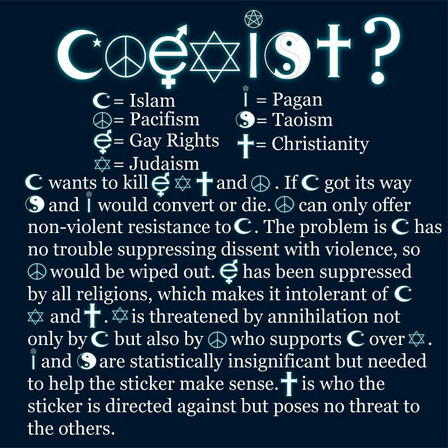 In America, fear of being labeled a terrorist, fear of not fitting in, fear of having “the religion of peace” found out for what it really is…these are all valid reasons for a Muslim to appear friendly to you. A believer must try to be like Allah and like Mohammed, so a true believer MUST scheme and dissimulate to further the cause of Islam. There are numerous stories in the Hadiths encouraging his believers to lie in order to bring about the death of their enemies, the Arabs and the Jews. Abu Ad-Darda (a pupil and companion of Mohammed) said “We smile in the face of some people although our hearts curse them.” A deception “allowed until the Day of Resurrection.” Thus you have a mainstream pious Islamic idea of “friendship” with non-believers. If you understand these two concepts of Islam, then you have an understanding of their treatment of unbelievers or Infidels. 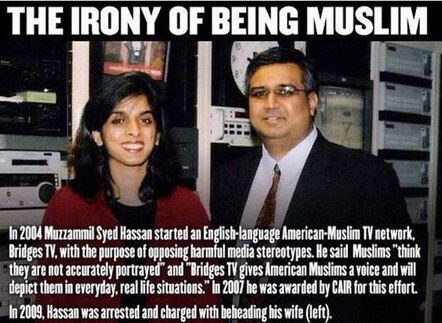 Mohammed and Allah allow Muslims to lie about the so called “religion of peace” to lull you into a sense of safety. They are taught to make deals and treaties with the rest of the world when necessary. They are taught to fit in and deceive people when they are not strong enough to take power. 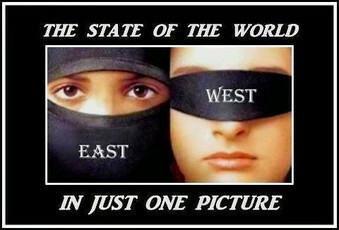 Islam means submission and they are taught to bring the rest of the world into submission by whatever means necessary. Islam teaches that world peace will be achieved when the entire world bows to Allah and there are no more infidels. Remember that the last writings of Mohammed were to kill, destroy, and hunt down the infidel wherever you find him to bring the whole world under subjection to Allah. Also take note that in 1900 A.D. Islam controlled approximately 15 countries in the world, and today Islam is 52 countries. They have achieved this primarily through peaceful immigration and high birth rates until they have enough numbers to commit violent overthrow and genocide like in Turkey, Afghanistan and other countries. A Westernized Muslim who is raised with the values of freedom and religious liberty in America will smile, and shake your hand, and maybe even dress like you, and speak English. They will treat you with respect, and work next to you, and maybe invite you to dinner and prove to you that they are peaceful people, and they really are! 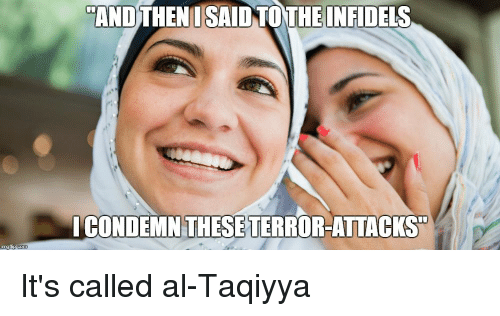 A true believer of Islam who wants to conquer the world and kill Infidels will smile, and shake your hand, and maybe even dress like you, and speak English. They will treat you with respect, and work next to you, and maybe invite you to dinner and prove to you that they are peaceful people….until they aren’t. The Boston Marathon Bombers were here on student visas. The Pulse nightclub shooter regularly attended the gay club and picked up people from there. The San Bernadino killers were nice people to work with. The Ohio state terrorist was a regular student sitting in class like a good citizen every day. The Army Major of the Ft. Hood shooting was a moderate Muslim and a good soldier until he shot over a dozen people. You cannot tell the difference between a good person who happens to be Muslim and a true believer who is planning to kill you. That is why I always take someone at their word when they say that they believe the Quran. You cannot trust them because they are trained to lie, and you cannot tell the difference between one that is lying and one that is sincerely a good person. Islam is not compatible with ANY free form of government. Islam is NOT compatible with Women. Islam is NOT compatible with Jews. Islam is NOT compatible with gays. Islam is submission, not freedom. 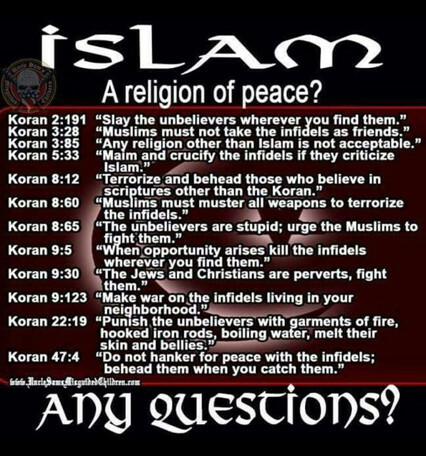 Muslims that preach PEACE are not telling you that Mohammed taught peace only to those deserving of it, and in the Quran, only Muslims are deserving of peace. To Islam, world peace will only be achieved when the whole world worships Allah. Stop being deceived and stop believing the lies that ignorant people like politicians and the news media tell you. Read for yourself and learn.